A news broadcast in Russia was interrupted recently in the cutest way possible. A dog had made his way into the studio and onto the set without anyone noticing he was there. He eventually made his way under a desk where a news reader was filming live and let out a loud bark. The video of the interruption is quickly going viral, and it isn’t hard to see why.The woman doing the news was actually a bit startled by the dog, who seemed to almost come out of nowhere. 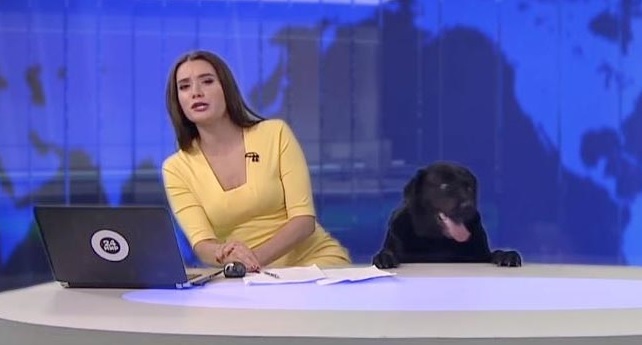 It’s actually almost hard to believe that the dog made his way around until he finally wound up in the news room, all without anyone seeing him the entire time.